Resident Magazine August Cover Party Honoring Steve Guttenberg from michael travin on Vimeo. A lot of people will remember Steve Guttenberg from his 1984 comedy film Police Academy where he plays a bumbling and clumsy policeman-in-training. Popular at the time, the film’s legacy seems to have bled into more recent films and shows, notably the hit movies 21 and 22 Jump Street. Though these two movies are remakes of the 21 Jump Street TV show, the silliness of the two policemen is extremely reminiscent of Steve Guttenberg’s character in the film. He also played in other big films like 3 Men and a Baby and Short Circuit. 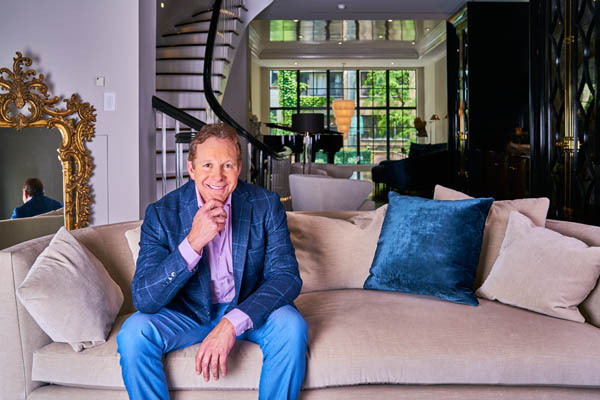 Growing up in a small home in Long Island, Guttenberg’s childhood is perhaps best marked by his close relationship with his family. He enjoyed an interesting combination of personalities with his parents, his father being a US Army Ranger before becoming a cop, and his mother being a gentle and very sweet woman. From this, Guttenberg says he gleaned a bit of both his parents’ characters, describing himself as at once strong and soft spirited. However, it was his mother that taught him perhaps the most important character lesson of all: Be yourself. This is a phrase that Guttenberg has carried with him throughout his life and career, and has truly shaped the person he is today. 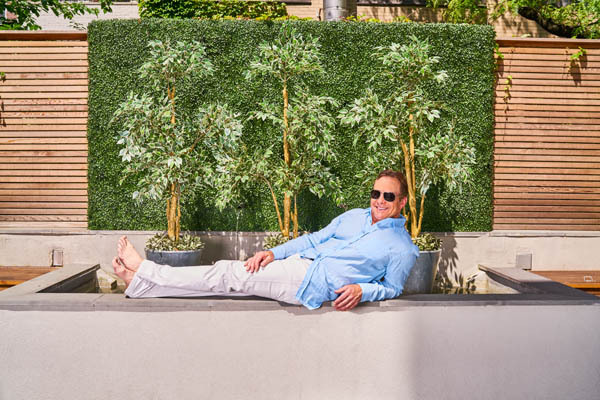 For Guttenberg, being himself is closely linked to his general happiness. “I’m most happy when I’m around people I love and people who love me. If I’m happy in my heart, then I’m happy anywhere. I just want everyone around me to be comfortable and happy.” In being yourself, or more accurately being the best self you can be, he believes you’ll have the life you want most. It all comes down to being yourself while also raising your standards: “Raise your standards. 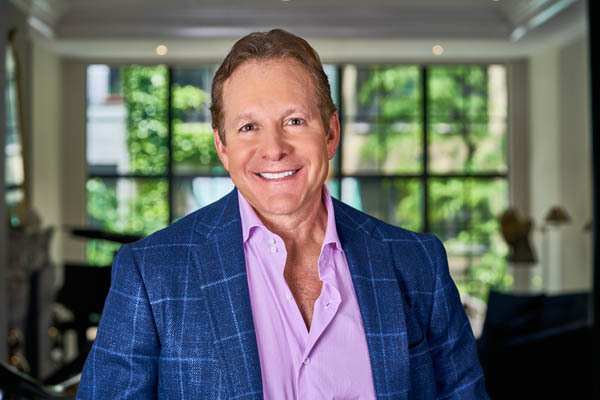 If you do, you’ll be around the right people, you’ll get the right jobs, you’ll have the right income, the right life, and you’ll live in the right place.” This optimism is the backbone of Guttenberg’s upraising, as well as his relationships with those around him. If you aren’t around people who respect you, treat you well, and make you happy, how can this possibly lead to a better life? How is that being yourself? Guttenberg is also extremely humble. Despite being a famous actor, his life in New York is fairly modest: his apartment is New York sized (i.e. a closet) and his friends come from all walks of life, ranging from CEO’s to Dunkin Donuts employees. Indeed, one of his CEO friends taught him an interesting lesson, saying: “‘I don’t hire people for what they can do, I hire them for who they are. Because I can teach you to fly an airplane, I can teach you to fly a spaceship. I can’t teach you to not steal from a register. I can’t teach you not to lie.’” This is an especially unusual concept in today’s work market as it usually seems like an impressive resume and expensive college are the new currency. Another unusual relationship stance is his relationship history with his exes: unlike most people, he remains close friends with his ex-girlfriends. When asked about his first kiss, Guttenberg humorously described his date with a young girl named Jeanie from Plainview. In an effort to impress, Guttenberg had his Dad driving him a few blocks away from the date location, where he then took out his bike from the car and biked the rest of the way. He wanted to make it look like he had impressively and athletically ridden his bike all the way to the date. He later came home and looked at himself in the mirror, concluding that he had become an entirely different person. He is currently dating Emily Smith, reporter for CBS. As he gets older, Guttenberg is getting more and more excited about his career and the new roles now within his reach. While science fiction movies used to be seen as lesser films, today they have made quite the mark in the box office. It’s a rare day when a new Marvel or DC Comics film is not in the works or playing on the big screen. This shift toward sci-fi was very exciting for Guttenberg and he decided to star in the film Lavalantula and its subsequent sequel 2 Lava 2 Lantula! The plot comes down to a simple concept: Fire-breathing spiders that come out of volcanos, with Steve Guttenberg there to save the day. A mix of comedy and action, the film is wonderfully entertaining and fun. In some ways, the film can be seen as a way for him to get back to the feel of his earlier films, that mix of action and comedy combined with a modern twist. 2 Lava 2 Lantula! comes out in August 2016. Having done much theater before his film days, Guttenberg is also looking forward to returning to the stage in future productions. For him, reaching your 50’s means getting to play Lear in Shakespeare’s King Lear, Benedict in Much Ado About Nothing, and Othello in Othello. “At 50, you’re just the right age to take on the heavier roles, while also being youthful enough to inspire into the roles the energy it needs.” When asked about his favorite role so far in both the film and theater productions, Guttenberg’s answer was simple: the next one. Aside from acting, he has many other passions, many of which surprise. An especially surprising one is his passion for gardening (even more so if you consider the fact that he lives in a small New York apartment). But it seems that Guttenberg has quite the green thumb and a large amount of expertise. Dividing a lot of his time between New York and LA, he had different perspectives on gardening for each location: “In LA, I can grow impatients all year round, which are my favorite flowers in the world. The flip side is that when you grow plants in California, it will grow slowly and nicely, but when you grow plants in New York in April and May, they know, we just have to go! By October we have to leave, we have to go go go!” Even Michael Caine seems to be an expert gardener, offering Guttenberg much advice on how best to take care of his plants. If Guttenberg has one piece of advice for how to have the healthiest and most fruitful garden possible, it’s to use Osmocote, a type of plant food that he claims will make your plants go crazy! Guttenberg also has a large interest in the state of the country, both politically and culturally. Already seen to be an optimist, he expressed his belief in the goodness of the American people and the strength of the country as a world leader. Though not necessarily agreeing socially with Donald Trump, he did express his belief in the politician’s ability to help the economy and to lower the costs of New York real estate through an increased number of new homes and apartments. However, no matter the politics, Guttenberg holds fast to America being a great country, “maybe because of its natural resources, maybe its positioning, the shoulders that we stand on, but mostly because of the attitude that people have.” Moving beyond politics, Guttenberg is extremely passionate about the restaurant and fashion scenes in both LA and New York. His favorite designers include Armani, Zara, Zegna, Prada, Hugo Boss, adding that he really likes “anything European.” Listing a large amount of wonderful restaurants in both cities, he especially recommends Atlantic, Acme, Mezzaluna, and Parm in New York and Taste, Kayndaves, Mastro’s, and Spago in LA. His final words were recommendations for books to read this summer, ranging from thrillers to books on real estate: A Wrinkle in Time, Keep Calm, and The New Rules of Real Estate are but a few examples. 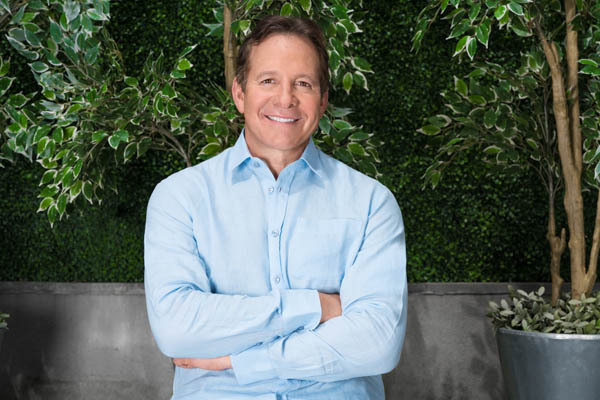 Steve Guttenberg is a man that goes far beyond the label of actor and seems to constantly surprise, as well as inspire with his wonderful optimism and advice!